Isn’t this a lot of knitted loveliness? I took this pic at Morwellham Quay, near Tavistock in Devon. The whole village is a World Heritage site of Victorian/Edwardian life. There is a working farm, copper mine, railway and dock as well as a forge, coopers, assayer’s office and general store. This counterpane was in the house in the village depicting middle class life. Here is a closer look. It is knitted in cotton. This type of work was typical for the late Victorian and Edwardian period. 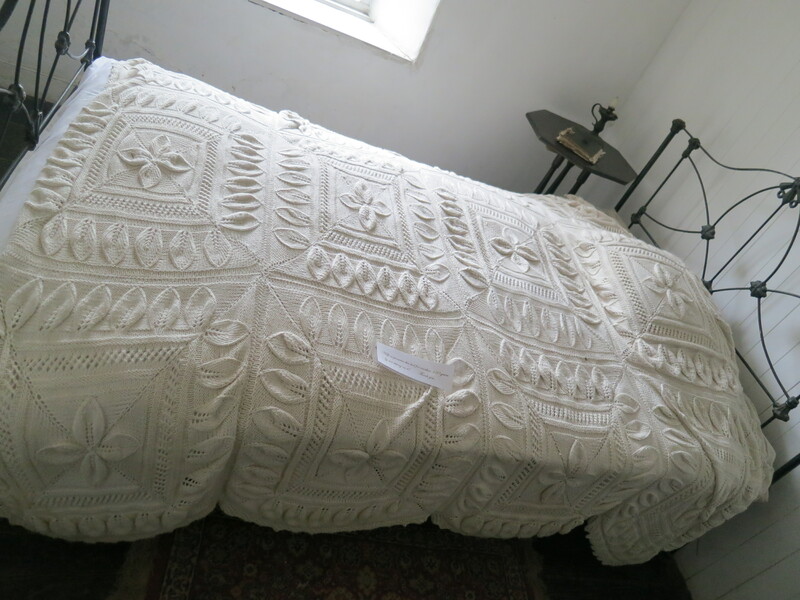 My Dad’s Mum knitted me a dolly blanket in these kind of white knitted squares when I was a very young girl, leaf shapes meeting at the stitched edges and united with a crocheted border. I loved it and love it still. My children use it now. It was knitted in acrylic in the early 70s and has proved completely indestructible . Perhaps it is this little dolly blanket that draws me to white work counterpanes. 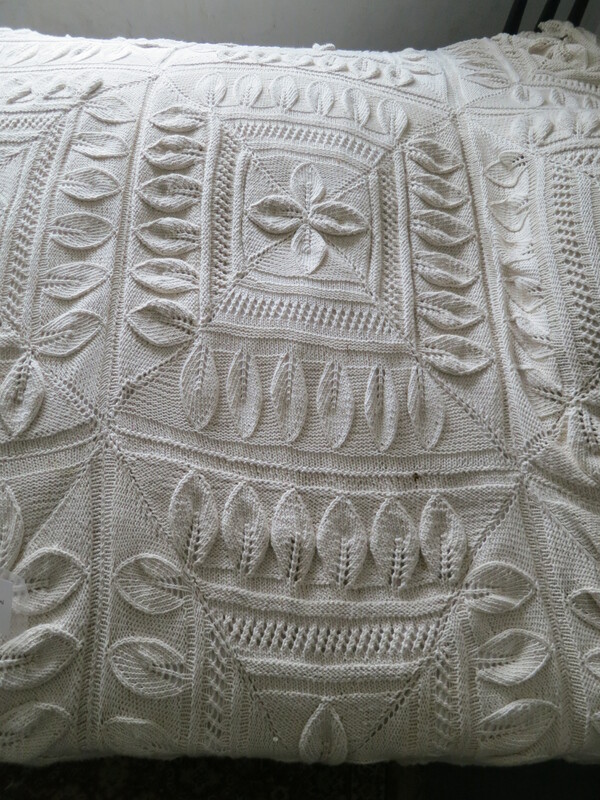 I love pouring over my Mum’s white work knitting patterns, happily browsing for hours. Mind you, I haven’t knitted one yet. But I do dream…of something knitted in an unbleached organic cotton or a plump and bouncy wool the colour of custard or perhaps an undyed silver grey from a dear sheep I might know one day. Such pleasant dreams. If you like me dream such dreams Pattern Central has a great free pattern here. Do you dream in yarn?